Our inbox just blew up with the email below, which we’re going to assume means that Gingerbread (Android 2.3) for the DROIDX is finally on the way. We’ve known for weeks that the build has been finalized, so for Motorola to begin testing it with a select group of forums members is not surprising. We are preparing a project for Droid X owners and would like to invite you to take part. We are now opening the project for registration. Please click this link to take a short enrollment survey if you are interested. 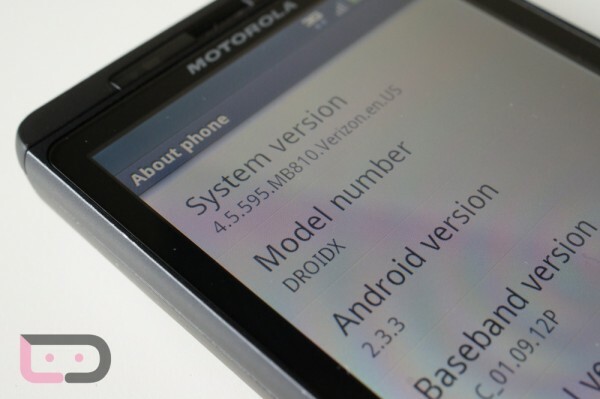 Please note that this is a confidential project under the terms of the Motorola Feedback Network. Do not post any details or information about this project on any public sites. At this time, there are few details to share, but if you register we’ll provide more information. If you have any questions, please e-mail me here. Thanks again, and we hope to be in contact with you soon. I should also point out that one of the links that testers are being directed to definitely says, “Droid X May 2011 update soak” which we’re hoping means that GB will be here before the end of the month. A few signs have already hinted at 5/26 as being a possibility. Everyone ready for some official 2.3 action? Cheers R, M, J, J, and M!